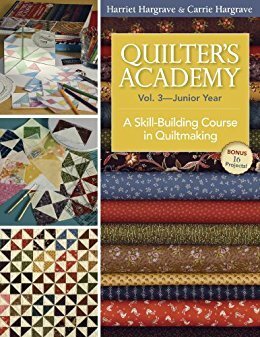 As we continue on our adventure in quilt making we will begin to use the book Quilter's Academy Vol. 3 - Junior Year from Harriet Hargrave to learn about one of the most commonly used block units found in most quilts - the half-square triangle. This is also known in "quilt lingo" as HSTs. Join us as we make a sampler while we learn the many ways to make these HSTs. There are three parts to this class. Requirements: Quilter's Academy Vol 3 - available at Ohio Star Quilts.